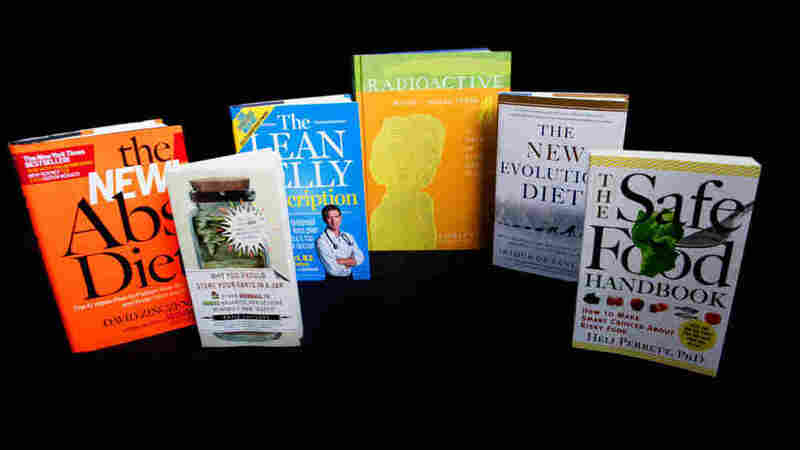 5 Health Books You Don't Need To Read : Shots - Health News Speed dating meets literary criticism. 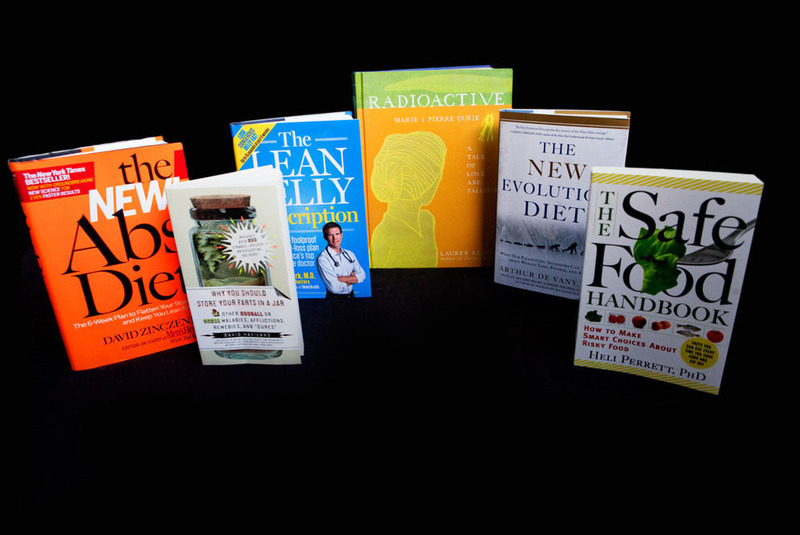 Shots reviews some of this year's health books which came our way. Many had advice about what to eat. Several had something to say about belly fat and abs. This time of year publishers send a ton of books to Shots HQ. A lot of them have advice on what to eat, or not. Now we finally have a little time to dig through the pile and review some of them -- as quickly as possible. Here goes speed dating meets literary criticism. Food is scary. "Risky food is everywhere." Deal with it. Belly fat is dangerous. "The average American is carrying around 30 billion fat cells." Eat smart, exercise some and find your abs. Belly fat is a killer. "Dr. Travis's Eight Laws of Leanness: Pick 3 To Lean!" Eat smart, exercise some and lose your belly. Cro-Magnon didn't have belly fat. "We are, in essence, hardwired to be lazy overeaters." Avoid foods that didn't exist in 40,000 B.C., embrace your inner carnivore and exercise in short, intense bursts. There are a lot of weird and disgusting health facts you haven't cared about since you were 10. "Was Hitler addicted to crystal meth?" Yes, apparently his personal doctor laced the Fuehrer's vitamin injections with methamphetamine. Scientists Marie and Pierre Curie were not concerned with belly fat. "Marie: 'I coined the word radioactivity.' " Working unprotected with radioactive material -- and sleeping with a jar of radium by your pillow -- is intellectually exhilarating but not good for your health.